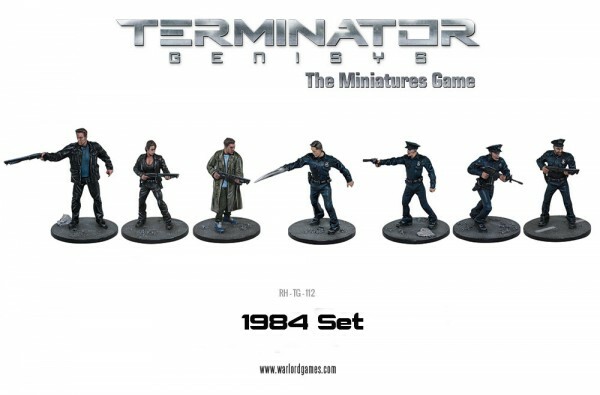 The 1984 Terminator Set comes with 7 figures, including Sarah, Kyle, Guardian (the Arnold mini), the T-1000, and three LA Police Officers. The set is done in metal. 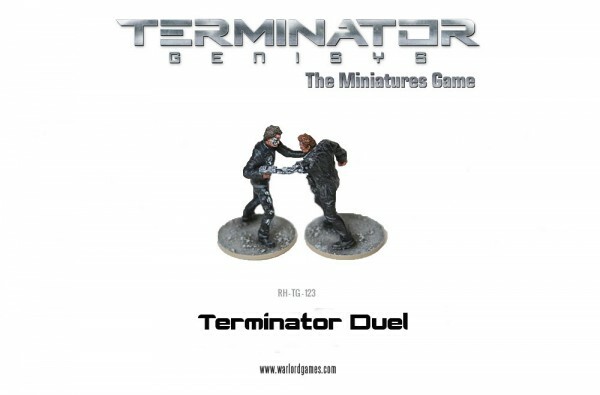 They also have Terminator Duel, a resin piece depicting a T-800 versus a T-3000 in an epic struggle to the... well... they're robots, so they can't die... a struggle to the deactivation? Sure, we'll go with that. Also, as I mentioned above, they have the rules and FAQ available to download for free from the website, if you've been wondering about how the game plays.